Any Swimming Teachers looking for a part-time paid role within walking distance of the University? 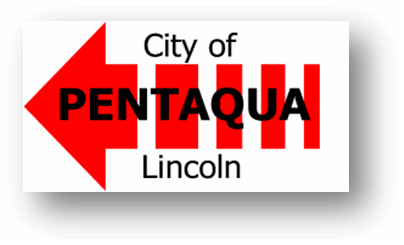 Lincoln Pentaqua are looking for some help. Please DM them on Twitter ( @clpasc ) for more info. WJB Swim have a Level 2 Swimming Teacher position available. Flexible hours (part time) and on a self-employed basis. To apply please email wjbswim@gmail.com or text 07446977758 and request a call. David Lloyd Leisure at Burton Waters are looking for responsible and hard-working students to join them as swimming teachers. You would teach swimming lessons as part of their swim school. The post involves approx 15 hours of work per week at a salary of £12 per hour. The hours could all be done by one teacher or split between two, dependent upon the applicants’ availability and flexibility. If you would like an informal chat regarding the position please call on: 01522 704422 and ask to speak to the Sports Manager. A number of local clubs and organisations have contacted IMPress with opportunities for students to provide support to their athletes, as described below. If you have any questions about these positions please email us. Students from all years and courses would be able to help. The Lincolnshire FA Girls’ Centre of Excellence have openings for volunteer coaches, video analysts and strength and conditioning assistants. All positions will be mentored by qualified coaches. The Centre run teams at U11,U13, U15 and U17 levels and a number of our students have already had great experiences there. For more details see the ad on the Volunteering Office page. Lincoln City FC Academy are offering an extended range of internships to work with all of their age group teams. These positions are voluntary, and the key areas they are seeking students to fulfil are: match filming & analysis (Saturday & Sunday fixtures); strength & conditioning; and sports therapy. If any of these positions are of interest to you and you believe that you can commit and are reliable enough to put your name down then please contact Alex Blackett to express your interest and confirm your attendance at an induction session on Thursday 2nd October at Sincil Bank between 6:00-6:30pm. Last year’s interns have had great success. Lincoln Vulcans Swimming Club are looking for students to help them with physiological and sports massage support. Sessions will be on Monday and/or Thursday evenings at RAF Cranwell or NK Sports Centre. For more details see the ad on the Volunteering Office page. We are in the process of setting up support for Lincolnshire County Squash Academy during visits they will be making to the University’s sports centre. Educational sessions will provided in a wide range of areas, along with video analysis and other testing. The age groups involved are U11, U13, U15 and U17. The first sessions will be spread throughout the day on October 28th. If you might be interested in helping then or on other occasions, please email us.